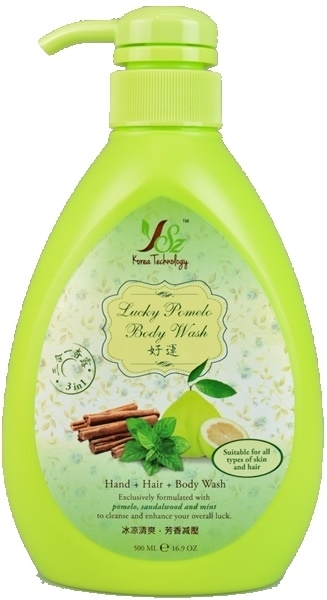 Lucky Body Wash 3 IN 1 made from auspicious herbal extracts, believed to help cleanse and enhance your overall luck. 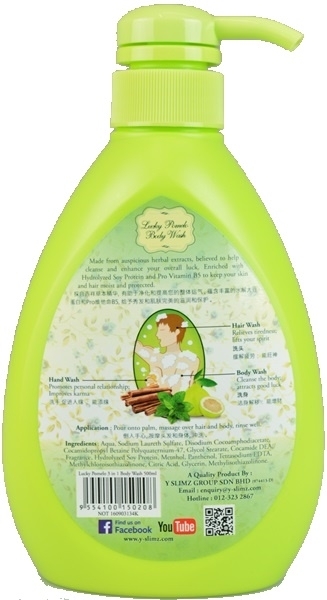 Enriched with Hydrolyzed Soy Protein and Pro Vitamin B5, to keep your skin and hair moist and protected. 3 Features i.e. (1) Relieves tiredness; lift your spirit (2) Promotes personal relationship; improves karma (3) Cleanse the body; attract good luck. Pour onto palm, massage over hair and body, rinse well. Type the technical details here..
Fast delivery. Product received well seal and protected and no leak on the bottle. Further to that, product function well as described in the product specification. Overall, 5A from me.